Beginning in January 1692, Salem Village in colonial Massachusetts witnessed the largest and most lethal outbreak of witchcraft in early America. Villagers—mainly young women—suffered from unseen torments that caused them to writhe, shriek, and contort their bodies, complaining of pins stuck into their flesh and of being haunted by specters. Believing that they suffered from assaults by an invisible spirit, the community began a hunt to track down those responsible for the demonic work. The resulting Salem Witch Trials, culminating in the execution of 19 villagers, persists as one of the most mysterious and fascinating events in American history. Historians have speculated on a web of possible causes for the witchcraft that started in Salem and spread across the region—religious crisis, ergot poisoning, an encephalitis outbreak, frontier war hysteria—but most agree that there was no single factor. 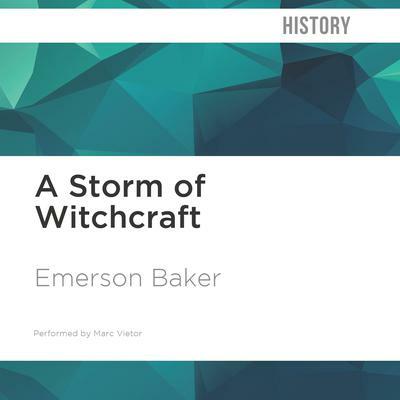 Rather, as Emerson Baker illustrates in this seminal new work, Salem was "a perfect storm": a unique convergence of conditions and events that produced something extraordinary throughout New England in 1692 and the following years, and which has haunted us ever since. Baker shows how a range of factors in the Bay colony in the 1690s, including a new charter and government, a lethal frontier war, and religious and political conflicts, set the stage for the dramatic events in Salem. 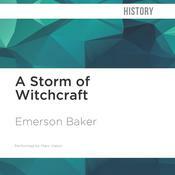 Engaging a range of perspectives, he looks at the key players in the outbreak—the accused witches and the people they allegedly bewitched, as well as the judges and government officials who prosecuted them—and wrestles with questions about why the Salem tragedy unfolded as it did, and why it has become an enduring legacy.